Ladies leather loafer shoe. Mock snake skin design. Sizes 36-41. 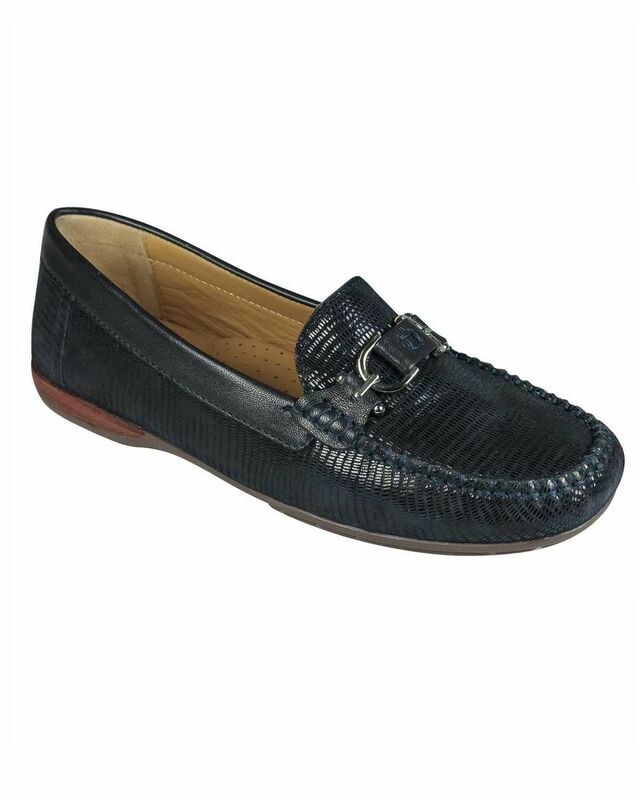 Ladies supersoft leather loafer with mock snake skin design and decorative trim to front. Rubber sole for added grip. A great summer shoe to complete every outfit.